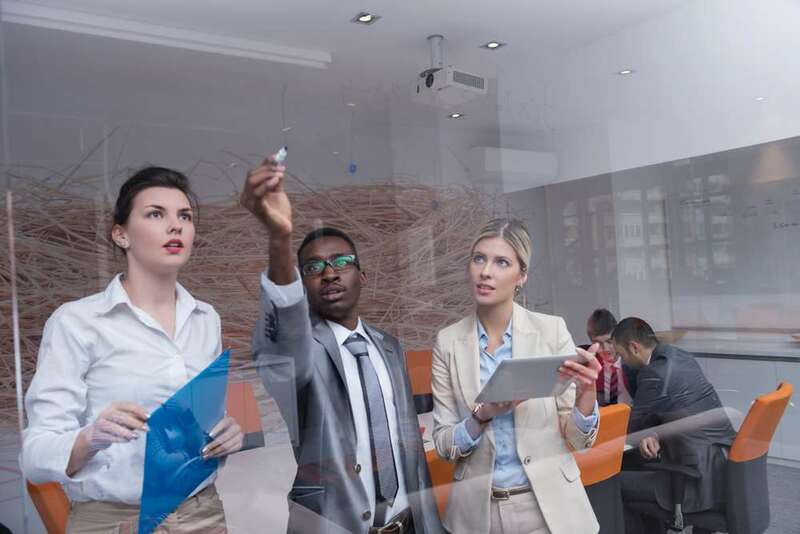 Private equity in emerging markets: worth the risk? Paris– Emerging market private equity funds offer institutional investors diversification, differentiated return drivers and an exposure to sector and geographical areas not accessible through stock exchanges. However, their performance is still unclear. Data from eFront, the world’s leading alternative investment management software and solutions provider, shows that the pooled average performance of emerging market funds is lower than in developed markets, with returns of 1.46x and 1.55x respectively (see Figure 1). However, as a result of emerging markets being heavily focused on venture and growth capital investments, which have a longer time to liquidity and report the value of their portfolio as the historical value, rather than fair market value, the performance of emerging market funds might be significantly understated. 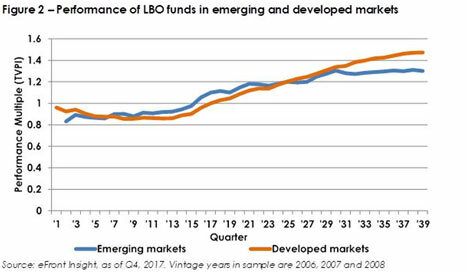 In addition, LBO fund managers in developed markets seem to be able to maximise performance during the harvesting period, while LBO funds in emerging markets seem to exhibit a different pattern: assets not sold before the eighth year of the life of a fund generate only modest incremental returns (see Figure 2). 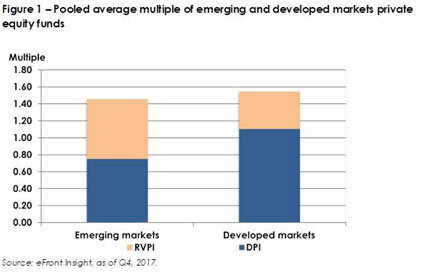 The positive news for investors in emerging markets is that, assuming that residual values are converted in equivalent or higher distributions, the risk-return profile of emerging market private equity funds is similar to those of developed markets.